We may have grown to be one of the largest sailmakers in the world, but we continue to hold onto our mission to support sailors everywhere and help them meet their challenges every step of the way to ensure they get the most out of their time on the water. Our teams work tirelessly behind the scenes with that goal in mind. Over the past year, we have developed a group of regional managers to better enable our teams on the ground to provide the high level of service you deserve. These regional managers are all familiar Quantum faces and come to this role from various positions in the company. This model helps us serve you more efficiently and provide easier access to Quantum’s powerful network and resources. Here is a look at our regional manager team. Never hesitate to reach out to any of the members. We are at your service! Since he started sailing in 1984, Patrick has been hooked on the sport. Starting at a young age in Lasers and then learning to sail larger keel boats, he’s spent the majority of his life on the water. First at Monterey Peninsula Yacht Club on the waters of the Monterey Bay and then in the more extreme setting of the San Francisco Bay, sailing has taken Patrick to destinations around the world. Along the way, Patrick has sailed in Australia as a junior on the Youth Match Race Tour and as an adult in the JJ Giltinan 18-foot skiff championships, in Hawaii’s offshore races during his college years at the University of Hawaii and after graduation. Through Europe on the 49er Olympic circuit and aboard the TP52 Rio, Patrick covered most of the waters of the Old Country, not to mention nearly every major sailing port in North America. 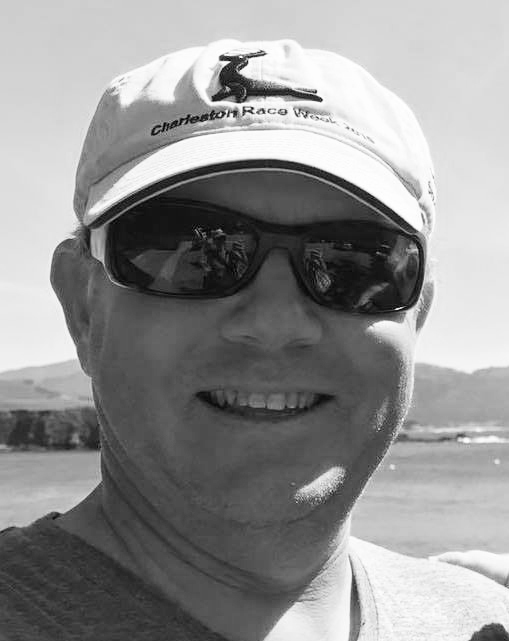 Patrick has been the loft service manager Quantum’s San Francisco loft for the past six years and stays active sailing one-design events as a tactician and racing offshore as a navigator. Farley is a lifelong, world-class sailor with more than 30 years of experience as one of the world’s top sailmakers and yacht racers. In 1985, Farley teamed up with John Kolius and started UK Sails Texas. The loft became the premier sail maker on the Gulf Coast and gained international recognition for its success in Grand Prix events. 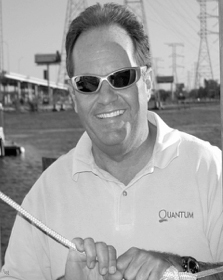 In 1996, Farley co-founded Quantum Sails and now serves as Executive Vice President. Among his many accomplishments, Farley is a two-time member of the J/24 world championship team and has sailed aboard the winner of the Southern Ocean Racing Conference, the International 50’ class world champion, and the One-Design 48 circuit season champion. He and Kolius teamed up again on the water and have won the J/80 North Americans and placed second at the J/80 Worlds. Farley coaches many Melges 32 teams, races on RP 86 Windquest, and races his own Viper 640. Troy has been on or around the water for nearly 50 years. Growing up with a family that spent their weekends sailing on Lake Erie, he was introduced to the sport at a young age. One day, while at the marina where the family boat was kept, the marina owner asked Troy if he wanted to go sailboat racing. "I was hooked," says Troy. Troy ended up working summers at that marina boatyard during most of his high school and college years. He had the chance to sail many different boats, from PHRF to IOR and some one-design classes. After graduating from Ohio State University, the influencers in Troy's life suggested that if he enjoyed the sailing lifestyle, he should probably find a real job to support it. 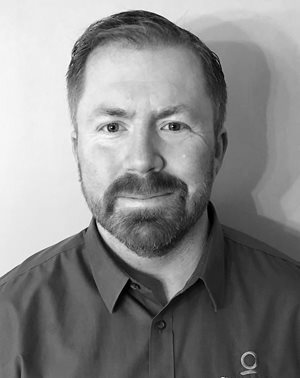 So, Troy spent 25 years working for several companies, gaining valuable experience in sales, management, and business development. 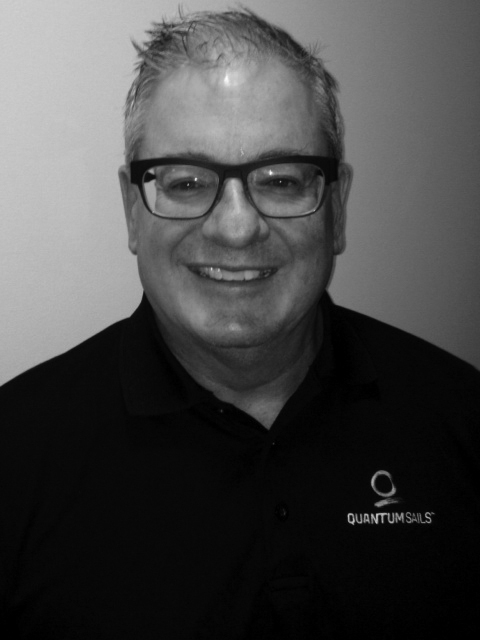 He is excited to bring that valuable experience to the Quantum team as the Great Lakes regional sales and service manager. Troy's sailing experience includes the old IOR glory days, PHRF, and several one-design classes, including 1D-35, Farr 40, Melges 24, J-111 and J-70. He's participated with various teams in more than 25 Chicago-to-Mackinac races with several podium finishes and an overall win in 2013. Troy lives in Holland, Michigan, where he and his wife raised three sons. His focus is on combining his passion for the sport of sailing with his business acumen to help deliver the Quantum experience. Dave's quest is to demonstrate the principles that are the foundation of Quantum Sails by serving as the leading sailmaker for sailors seeking an unmatched commitment to performance and client care. In his role as regional manager, Dave is dedicated to providing solutions that will help sailors confidently venture out on the water with sails that will go the distance and with the full support from the Quantum team. 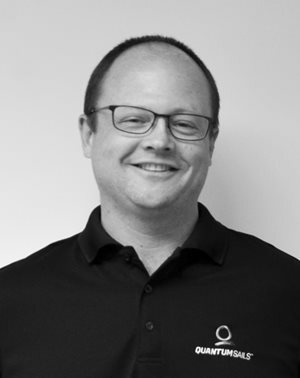 Prior to joining Quantum, Dave served as COO at Hood Sailmakers, helping to maintain Hood’s renowned presence in the cruising and bluewater sailing markets. Early in his career, Dave worked in academics as a teacher and coach and also served as program director and president of the Greenwich Bay Sailing Association. In addition to his long tenure coaching sailing, Dave actively competes aboard a range of sailboats at IRC, PHRF, one-design, and team racing events. Dave credits his opportunity to compete with some of the world’s most accomplished sailors as instrumental to his growth as a sailor and his understanding of how best to serve Quantum’s clients. Dave graduated from Wesleyan University in 2003, where he played football and remains involved in coaching. He also holds an M.B.A. from Northeastern University. Dave lives in East Greenwich, Rhode Island, with his wife Liz and daughters Isabel and Caroline. Born in Chapel Hill, North Carolina, Charlie Saville learned to sail on the Tred Avon River in Maryland. His childhood revolved around the water, junior sailing on the eastern shores of Maryland and racing Etchells in San Diego. After college, Charlie set out on a 10-year off-shore sailing career, covering more than 125,000 nautical miles and visiting 40 countries during 11 ocean crossings. A third-generation sailmaker and professional sailing instructor with more than 6,000 hours of instruction, Charlie co-founded Warrior Yachting in Annapolis, Maryland, in 2000. Providing yacht and sail maintenance, consultations, and instruction, he had one mission: to help people achieve their yachting goals. In 2009, he brought that mission to Quantum Atlantic when he was contracted to manage the Annapolis service department and has been with Quantum in various roles since. We are at your service and by your side every step of the way. We are proud to be your sailmaker and look forward to continuing to find new and better ways to help you meet your challenges. See you on the water.